The use of mobile technology has rapidly expanded in healthcare organisations, transforming many aspects of clinical practice, from medical education to patient care. Within the field of clinical imaging, mobile technology has the potential to enhance media capture and documentation, support better clinical decision-making and improve patient outcomes. However, in this highly complex and regulated environment, protecting sensitive patient information is critical, as is the ability to share medical media across healthcare professionals and organisations. Today, many different devices are used for mobile medical imaging – from cameras to personal mobile phones – increasing the risk of security issues, and incomplete or inaccurate patient records. CSAM’s latest innovation, CIMA or Clinical Imaging Mobile Application – solves these issues by facilitating the capture of photos and videos with fast and compliant transfer to any CSAM imaging solution. – CIMA is a user-friendly application that brings the power of CSAM imaging solutions to a user’s mobile device, said Kristiina Salo, Product Manager at CSAM. – The app works for any medical discipline, in any setting, on any mobile phone. With CSAM CIMA, healthcare professionals can document a variety of medical imaging data, such as wounds, dermatological changes, injuries, weight changes, physiotherapy and more, in both inpatient and outpatient settings. – CSAM CIMA offers organisations the ability to improve documentation, reduce time to diagnosis and treatment, increase security and enhance patient care – all in a simple and secure mobile application, added Salo. CSAM CIMA was developed in cooperation with practising physicians and nurses to meet their need for fast and compliant mobile media management. – CSAM has been delivering proven and well-established imaging solutions to a variety of medical disciplines for years with Picsara and Medimaker, said Salo. – With the growing use of mobile technology in healthcare, our customers were looking for a way to quickly and securely capture media from their smartphones and transfer them to their CSAM imaging solution. 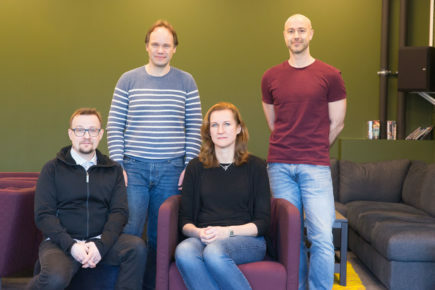 The development of CSAM CIMA began in 2017 with a collaborative team of highly experienced product and project managers, developers and testers in a number of the company’s offices across Sweden, Norway, Finland and the Philippines. After testing in early 2018, the team launched CSAM CIMA at Vitalis, Sweden’s largest eHealth conference, where more than 5 000 visitors, including key decision makers and customers, attended. 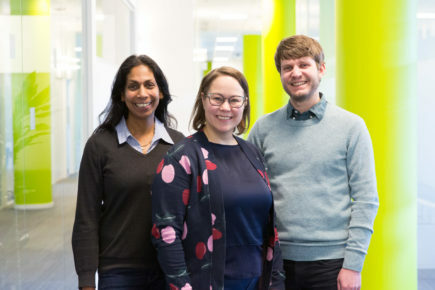 CSAM was one of just a few companies selected to demonstrate their product at Demo@Vitalis, an event where new, ground-breaking products within Connected Health and eHealth are presented. Following a successful presence at Vitalis, CSAM CIMA was released to Picsara customers via Google Play and the Apple App Store last October. Now, the team is working on their first customer delivery projects to CSAM Picsara customers in Sweden and the United Kingdom (UK), as well as releasing the solution to CSAM Medimaker customers later this year. – We are excited for the next phase of CIMA’s development, said Salo. – As our customers begin to use the app and provide us with their valuable, real-world feedback, we can continue to build CIMA’s functionality and enhance the app for both current and future customers. Today, CSAM is a leader in image management solutions to healthcare organisations in the Nordics. 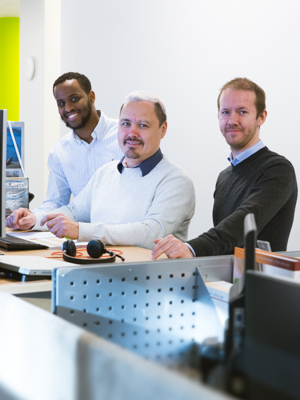 CSAM Picsara is one of the most widely used non-radiology imaging solutions in Sweden and Norway; the solution is also used by customers in Denmark and the UK. CSAM Medimaker is used by customers in Finland, Estonia and Denmark. Both CSAM Picsara and CSAM Medimaker integrate with a variety of hospital systems, including electronic health records, patient information systems and more. With the addition of CSAM CIMA, customers can achieveaccurate and fast integration of mobile medical images within the enterprise system. – The combination of CSAM CIMA and our existing imaging solutions delivers a unique and truly unified storage of medical media, said Andreas Bjärkmar, Delivery Manager, CSAM Sweden. – Through the app’s integration with Picsara or Medimaker, primary care physicians and specialists have shared access to a comprehensive archive of patient images and videos. How does CSAM CIMA work in action? When a patient visits their primary care physician or a specialist, that professional can quickly call up the patient’s profile and take a photo or video to document the patient’s condition. The physician can then edit or make notes on the file, and send it to the organisation’s image management system, where other healthcare professionals can consult on the case if needed. All this happens within seconds – significantly reducing the time it takes to send and receive information from and between healthcare professionals. – Customers are continually looking for ways to improve the efficiency of their workflow, both to reduce costs for the hospital and improve patient care, said Bjärkmar. – By spending less time capturing and transferring images, they can spend more time with their patients. Importantly, the whole process is compliant. CSAM CIMA complies with all data privacy regulations, safeguarding confidential patient information. Technological innovations in medical imaging have already impacted many aspects of clinical diagnosis, treatment and disease monitoring. And as the medical imaging software market continues to grow, so too does the demand for advanced and specialised software solutions and mobile applications. CSAM CIMA strengthens the company’s leading portfolio in image management solutions and positions it to capitalise on the market opportunities in this area. – With the deployment of CSAM CIMA in 2019, we expect substantial growth in the number of customers using our imaging solutions, said Salo. – The app ensures that we not only meet the needs of our current customers but also expand our full portfolio of imaging solutions to new customers and markets. One of CSAM’s competitive advantages is the company’s process of collaborating with customers. The product teams and developers work closely with practising healthcare professionals to ensure their solutions not only meet the needs of today’s workflows but provide valuable functionality for the workflows of tomorrow. – CSAM’s process of continuous improvement and collaboration with its customers ultimately leads to better solutions, said Salo. – This virtuous cycle benefits everyone involved, from the healthcare system, customers, and patients to the company itself.